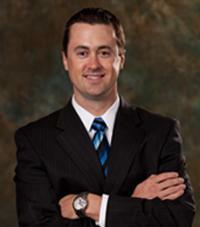 Dr. Joshua Harris is an orthopedic surgeon who specializes in sports medicine and arthroscopy. Dr. Harris obtained his undergraduate degree from Wright State University in Dayton, Ohio, and he completed both his medical degree and orthopedic residency at Ohio State University College of Medicine in Columbus. He then completed a fellowship in sports medicine at Rush Medical Center in Chicago where he was assistant team physician for the Chicago Bulls, White Sox, and DePaul University. Dr. Harris' special interests include sports-related injuries including hip arthroscopy, patellofemoral disorders, multiligamentous knee injuries, knee joint preservation, and platelet-rich plasma (PRP).